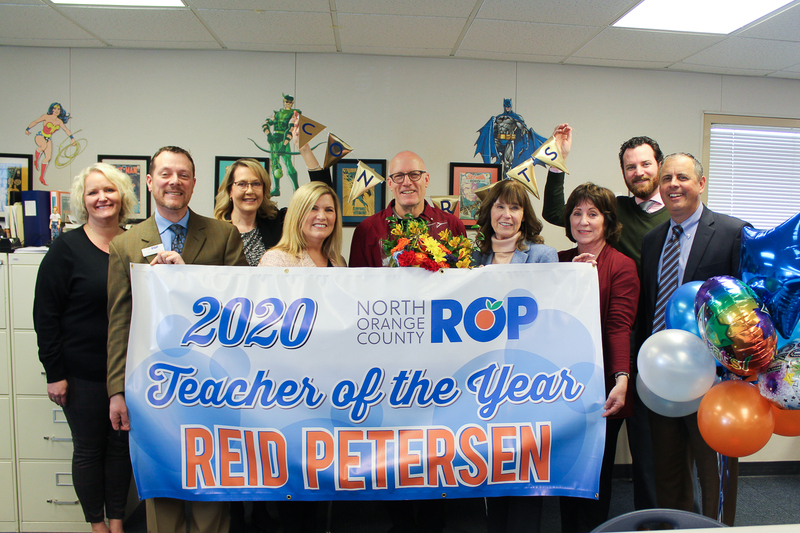 El Camino Real High School teacher Reid Petersen was named Teacher of the Year by North Orange County Regional Occupational Program on January 10, 2019. Pictured left to right, Principal, Carey Cecil, NOCROP Superintendent, Terri Giamarino, Mr. Petersen, NOCROP Board President, Meg Cutuli, NOCROP and PYLUSD Board Member, Karin Freeman, and PYLUSD Superintendent, Dr. Greg Plutko. 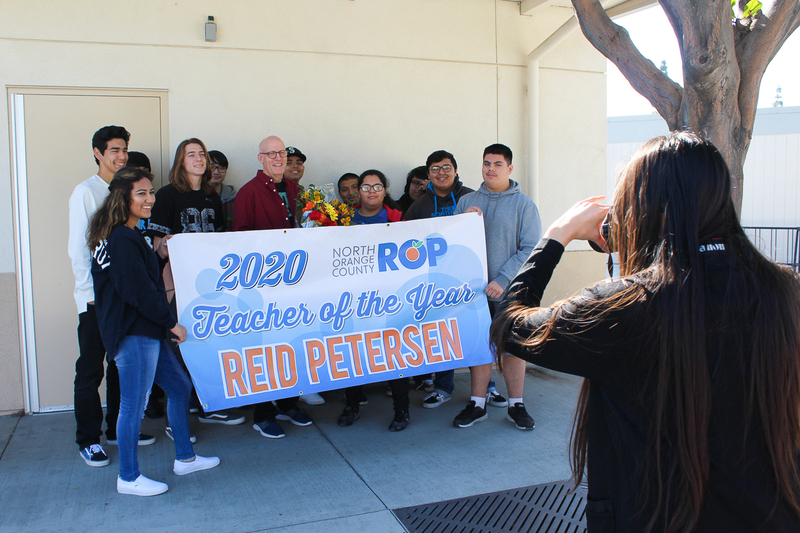 El Camino Real High School (ECRHS) teacher, Mr. Reid Petersen, has been selected as the North Orange County Regional Occupational Program’s (NOCROP) Teacher of the Year! 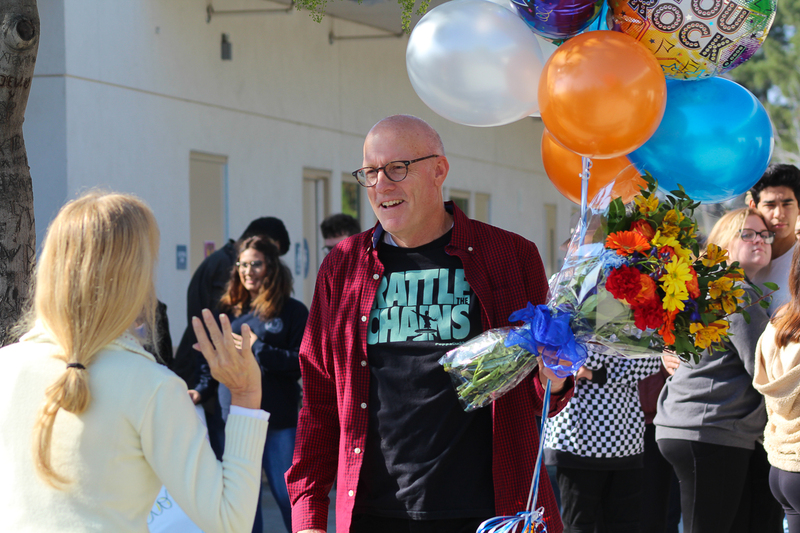 North Orange County ROP administrators recognized Petersen in front of his students and colleagues on Thursday, January 10, 2019. He has served as the school’s digital design teacher for eight years. “For many students at El Camino, Mr. Petersen’s class provides an outlet for expression and creativity, and he challenges them to tap into talents they may not recognize they possess,” shared Principal Carey Cecil. North Orange County ROP is a collaborative effort in career technical education by five school districts including Anaheim Union High School District, Brea Olinda Unified School District, Fullerton Joint Union High School District, Los Alamitos Unified School District, and PYLUSD. The program, under the direction of Superintendent Terri Giamarino, offers a wide variety of career technical education coursework and career readiness training to over 16,000 students in the county. Each year, the Orange County Department of Education (OCDE) Teacher of the Year program provides recognition for outstanding teachers throughout the county. 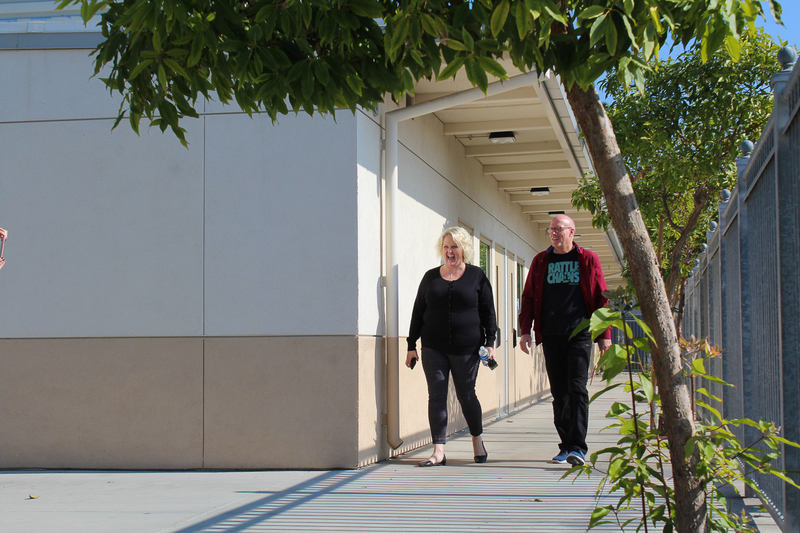 School districts, community colleges, and regional occupational programs such as North Orange County ROP may nominate one to three teachers depending on their organization’s size. 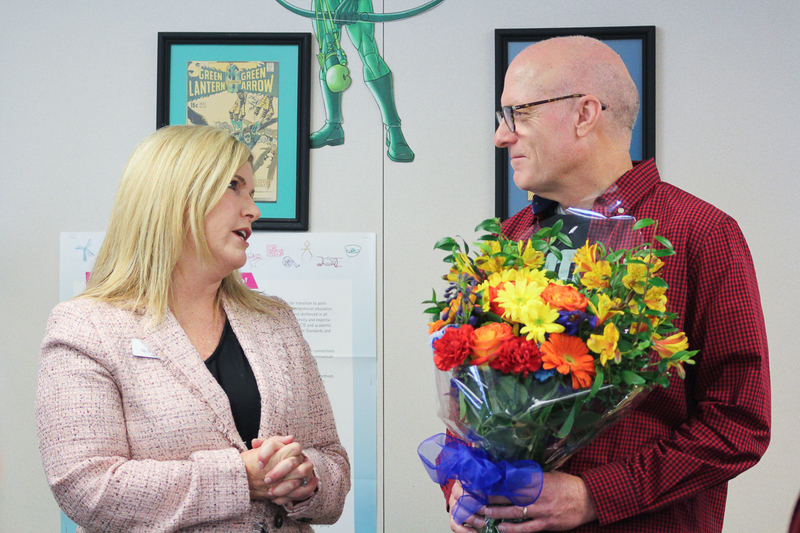 Alongside fellow top teachers, Petersen will be honored for this achievement at an annual recognition banquet hosted by OCDE and SchoolsFirst Federal Credit Union in Fall 2019. “Mr. Petersen is an instructional leader on campus whose passion for service and commitment to students is incredibly impressive,” Cecil noted. Thank you, North Orange County ROP, for bestowing this special recognition upon an educator serving students in PYLUSD. Congratulations, Mr. Petersen and El Camino Real! 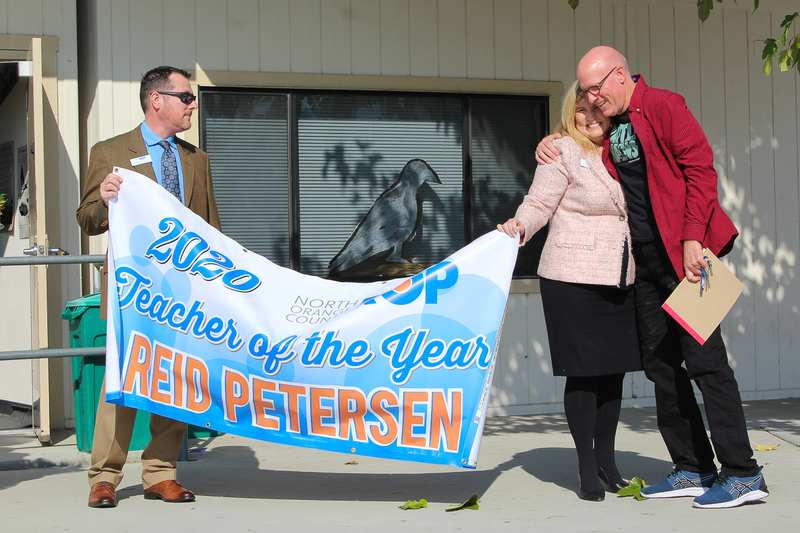 Be the first to comment on "North Orange County ROP identifies El Camino Real’s Reid Petersen as their “Teacher of the Year”"